United Veterinary Clinic maintains a well-stocked canine blood bank to provide emergency blood transfusion services for critically anemic dogs. You may expand on the following headers for more information on the type of transfusion services we provide. A blood transfusion is a life saving medical procedure to treat symptoms and complications of anemia. The aim is to replace red blood cells so that proper oxygenation of tissues and organs can occur. The blood transfusion acts as a supportive process to elevate the low red blood cell count until the cause can be determined and treated. When are blood transfusions necessary? A blood transfusion is required in pets suffering from a low red blood cell count (anemia), with a pack cell volume of less than 15%. What are the common causes of anaemia that requires a blood transfusion? Are there risks with a blood transfusion? A blood transfusion reaction is always possible due to the nature of introducing “foreign” blood into your pet’s body. Dogs receiving a blood transfusion for the first time have a much lower risk of a reaction as antibodies have yet to develop. However, dogs that have received blood transfusions before face a higher risk of developing adverse transfusion reactions. Adverse reactions include the further breakdown of the blood, vomiting, nausea, breathing difficulties, death etc). 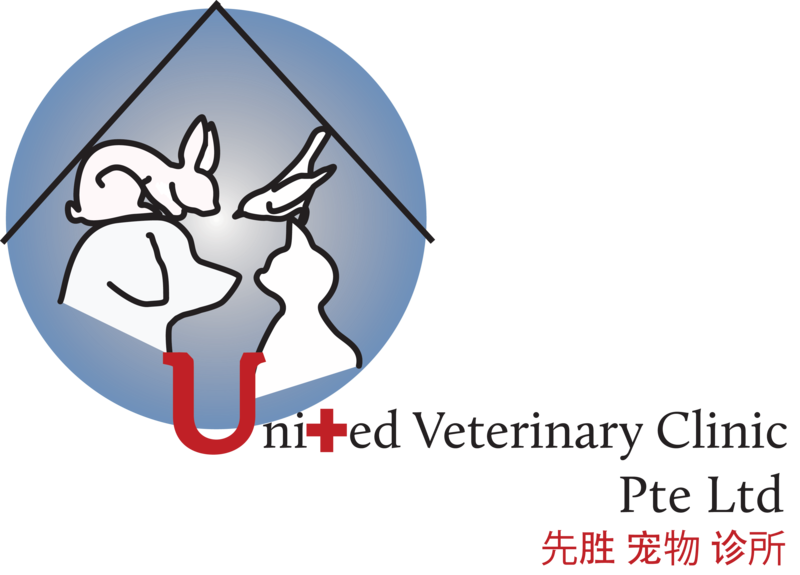 At United Veterinary Clinic, various precautions are taken to reduce the risk of a transfusion reaction. These precautions include pre-medicants prior to the transfusion, close patient monitoring during the transfusion, and the use of compatible blood based on blood typing and cross-matching to identify the most suitable blood donor. How is a blood transfusion performed? Based on your pet’s red blood cell level and weight, a specific volume of whole blood will be calculated and slowly transfused into your pet. The blood transfusion is typically performed over up to 6 hours. During the transfusion, your pet will be hospitalized and monitored closely for any adverse transfusion reactions. Should your pet require a blood transfusion, please give us a call to enquire about our blood bank status. How do we choose the most compatible blood? Blood Typing. As with humans, dogs have several blood types. The important blood type during a transfusion is classified as DEA 1.1 negative or positive. In-house blood typing kits are available for us to determine your pet's blood type and choose a compatible donor. Cross Matching. At United Veterinary Clinic, cross-matching of donor and recipient blood is always performed prior to a transfusion. Your pet's blood and the donor's blood will be mixed and evaluated under a microscope. This allows us to evaluate the compatibility prior to a transfusion and choose the best available blood for your pet. Albumin is an essential protein produced by the liver. Albumin has an important role in maintaining fluid balance preventing fluid from leaking out of blood vessels into other body tissues (maintaining oncotic pressure). Albumin has an important role as a transporter, it binds and distributes via the bloodstream, minerals such as calcium, bilirubin, and drugs throughout the body. When is albumin transfusion used? Plasma is the liquid component of blood after removal of red blood cells, white blood cells and platelets. Plasma contains water, salts, enzymes, proteins (albumin and globulin), clotting factors and antibodies. What is a plasma transfusion? A plasma transfusion is an emergency procedure used to treat clotting diseases or a severe infection. When is plasma transfusion indicated?